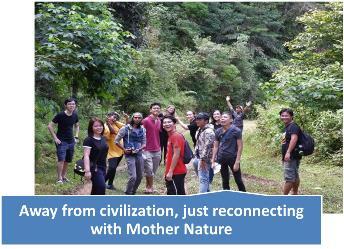 On the 27th of June 2017, fourteen travellers from the School of Arts and Social Sciences, Monash University Malaysia, set forth on what-was-then-yet-to-be another enthralling escapade, this time someplace closer to home – Sabah, Malaysia, also known as the “land below the wind”. This six-day study trip commemorates the 13th installment of the ‘In Search Of’ (ISO) series. 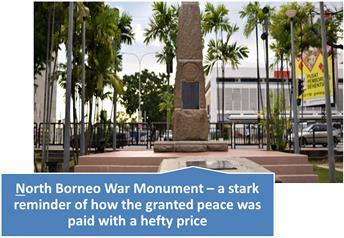 The adventure commenced in Kota Kinabalu with a time travel back to the days of British colonisation. Travellers were given a crash course on Sabahan history, courtesy of the founder of Kota Kinabalu Heritage Walk, Ms Grace Leong. We were told of the course of events that unfolded whilst strolling by each heritage site and learning about the various efforts to preserve the capital city’s historically significant sites in the face of never-ending, rapid modernisation. Exploring much of Malaysia’s second largest state within a brief span of a mere few days would be impossible. As such, the study trip’s coverage solely focused on the West Coast Division. The journey into the interiors of Sabah started off with a visitation to the headquarters of our host organisation, Partners of Community Organisations Trust (PACOS). As the name implies, PACOS Trust is a community-based organisation dedicated towards supporting and empowering indigenous communities in Sabah. Travellers discovered and encountered PACOS Trust’s work in developing Community Learning Centres (CLC), the Kivatu Nature Farm and sustainable natural resource management programmes, mainly with the local river fish conservation (tagal) system. PACOS Trust played a large part in the planning of this trip, and provided three experienced guides to accompany the ISO Sabah team throughout the entire duration of the trip. Venturing even higher up into the mountainous regions, travellers yet again took a step back in time as they pondered upon the countless valiant sacrifices made during the Sandakan Death March that took place during World War II at the Kundasang War Memorial. 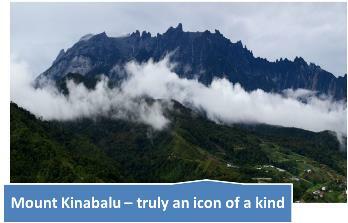 Travellers also had an awestruck moment gazing at the world-renowned Mount Kinabalu in its full glory at Kinabalu Park; where they not only adored the spectacularly picturesque view above and beneath them. It was particularly memorable for the team as they bonded over some light-hearted dancing with the guides approximately 4,000 feet above sea level. What makes each ISO study trip one-of-its-kind is crossing paths with inspiring individuals along the way. In Kampung Kipouvo, travellers learnt about the villagers’ strong sense of collectivism; the driving force to actively unceasingly tackle the village’s own issues in improving their welfare. 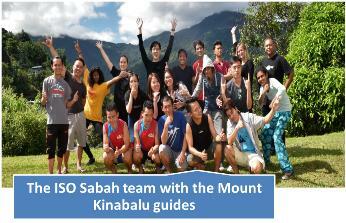 The ISO Sabah team were also humbled to hear the stories of the unsung heroes of the earthquake that affected Mount Kinabalu and the surrounding region – the mountain guides from Kampung Kiau, who actively ensured the safety of the hikers in their care. One cannot help but be inspired by their passion for their duties even in the face of danger. Later in that trip, the travellers also experienced the festive hospitality in Kampung Kiau when they were invited to attend the annual harvest festival, also known as the “Pesta Kaamatan”. In Search of Sabah was truly an immersive experience for not just the international travellers but also the Malaysians, providing the privilege of witnessing a part of Sabahan culture(s) and ways of life beyond what we read and watch about. With that renewed, profound insight in mind melding with a sweet serendipitous sentiment, the travellers boarded the return flight to the Peninsular on the 2nd of July 2017.